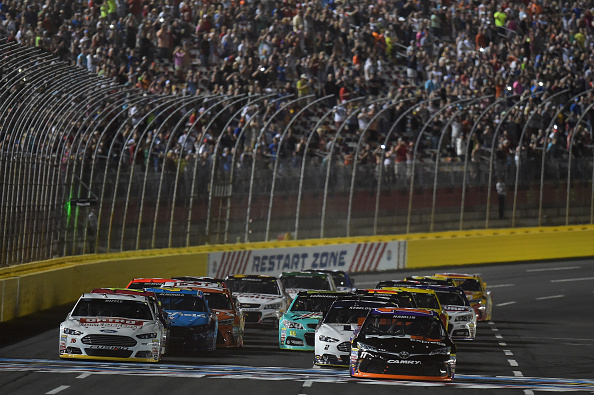 Denny Hamlin turned two tires into a million dollar payday Saturday night holding off Kevin Harvick in the final 10-lap segment of the 110-lap race to win the NASCAR Sprint All-Star race at Charlotte Motor Speedway. 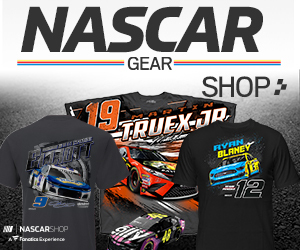 In a race that highlights NASCAR’s pit crews, it was Hamlin’s crew who won him the pole earlier Saturday and got him out first on the final pit stops to score the first All-Star win for Hamlin, Joe Gibbs Racing and Toyota. Hours earlier, Hamlin won the pole in the unique qualifying format that featured hot laps and a shot down pit road with no speed limit for a four-tire pit stop. He was later able to improve his average finish by taking only two tires and leading to the green in the fourth and final 25-lap segment and finishing sixth. The order the field pitted prior to the final 10 laps was based on the average finish of the first four segments with all cars required to take four tires. 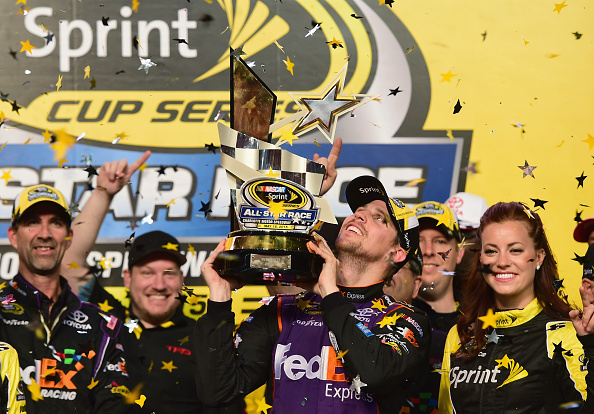 Hamlin came in fifth, left the pits first and went on to the win.